To mark the major milestone of HM Queen Elizabeth II becoming Longest Reigning British Monarch in 2015, a unique picture of the Her Majesty dressed in her robes of the Order of the Garter was commissioned. 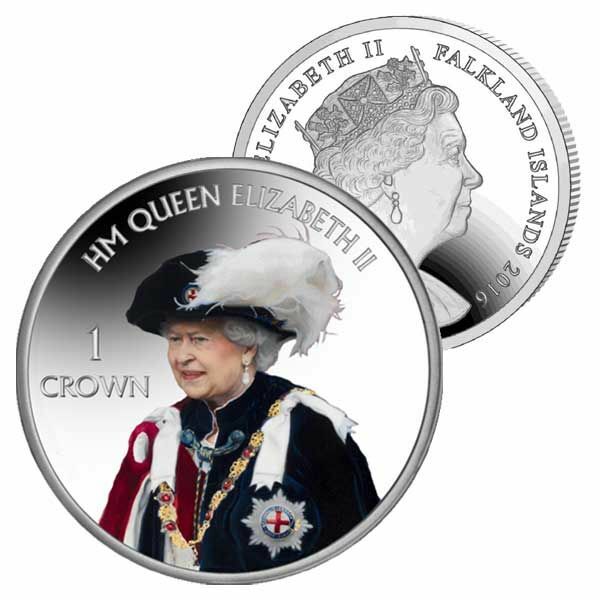 Pobjoy Mint has obtained a license to reproduce this portrait on a coloured crown coin on behalf of the Falkland Islands. The Most Noble Order of the Garter, founded in 1348 by King Edward III, is the greatest order of chivalry and the third most prestigious honour (inferior just to the Victoria Cross and George Cross) in England and the United Kingdom. The Queen (whose dad George VI selected her and her other half to the Order in 1947) goes to the service as Sovereign of the Order. Other members of the Royal Family in the Order also attend, including The Duke of Edinburgh, The Prince of Wales and The Princess Royal. During the Middle Ages women were associated with the Order, although unlike today they did not take pleasure in full membership. In 1987, The Queen decided that ladies must be eligible for the Garter in the same way as men. Women are for that reason included in this number and currently Lady Soames (the youngest child of Sir Winston Churchill, also a holder of the Order of the Garter) holds this honour. This crown coin has actually been produced magnificently in a 1oz Proof Sterling Silver with the issue limitation set to match the year of birth of The Queen. Also available as 1oz Proof Fine Gold with a limit of 62 that represent the number of gun salutes, that take place at the Tower of London, to commemorate the Queen Birthday every year. Each rare-earth element coin is struck four times to develop the famous Pobjoy 'Proof' surface. The design includes a colour portrait of Her Majesty Queen Elizabeth II displayed in complete Order of the Garter Robes by Alastair Barford. 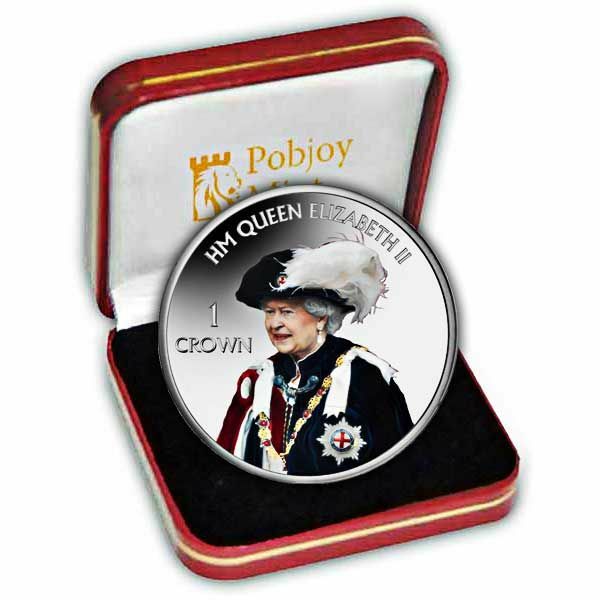 The obverse brings Her Majesty's effigy specifically by Pobjoy Mint.